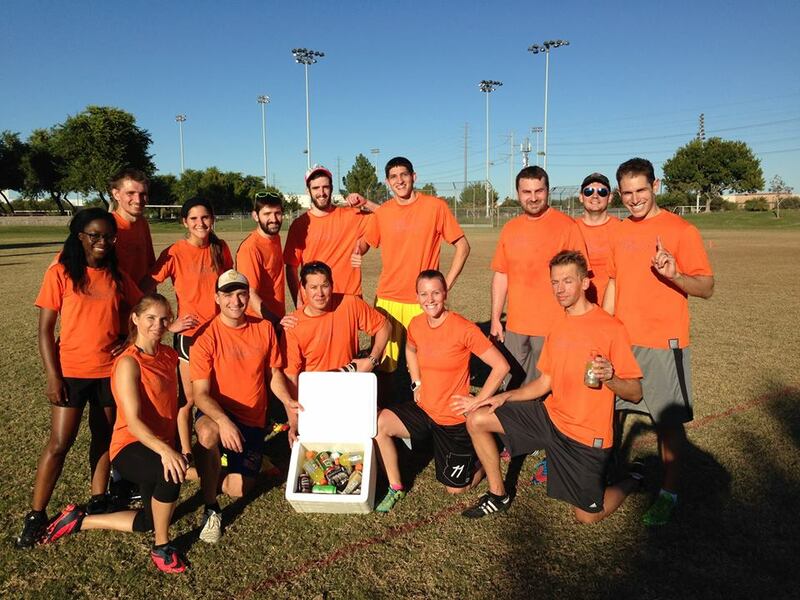 Congratulations to Throws Before Crows, Fall League 2015 Champions! Ted challenged each team to collectively donate the most canned/boxed food and toiletries, measured by weight. 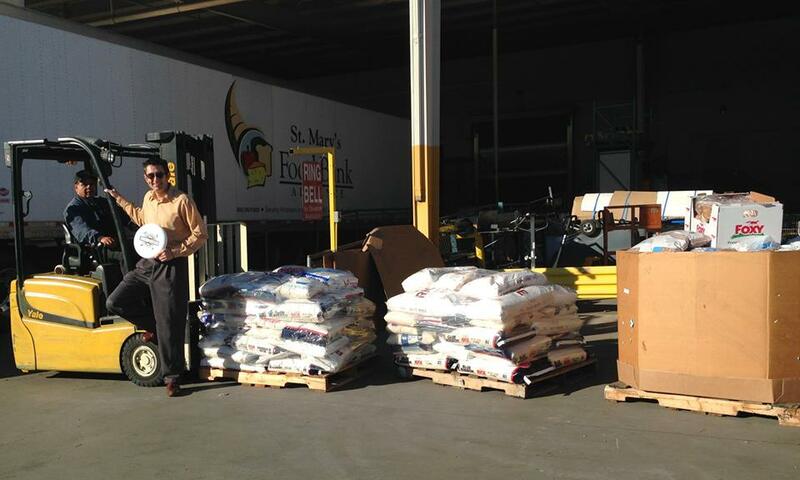 The official final weight tally for all donations was 3,857 pounds! The winner of Ted's challenge was The Riders of ThRohan with 537.8lbs, just edging out House Targaryen's 526lbs. Well done, VOTS! The Riders of ThRohan with their prize. 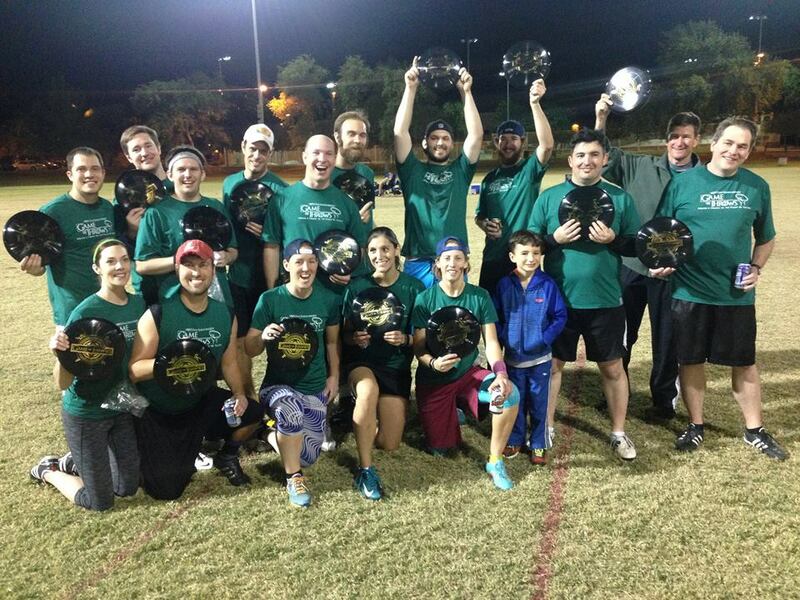 Finals were played on Nov. 7th, 2-10pm at Tempe Sports Complex, fields 1-4. "T" and "R" in the schedules below refer to Tuesday (11/3) and Thursday (11/5) games. Games will take place at Benedict (Ben) (Tues. & Thurs) and Tempe Sports Complex (TSC) (Saturday). Top seeds in each pool will set up their field on Saturday. Ted will have cones at the U-Haul.